Hello! 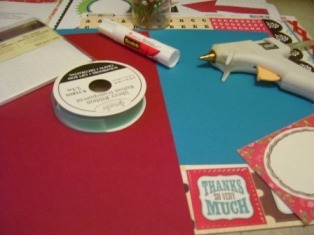 My Name is Dottie and I am going to show you just how easy it is to create one of my handmade Thank You cards! It’s going to be a lot of fun! Card size is 6" X 4 1/2". First I gathered all my supplies. 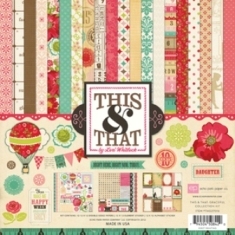 I cut my card to size 6" x 4 1/2" using my red cardstock by STAMPIN’ UP! 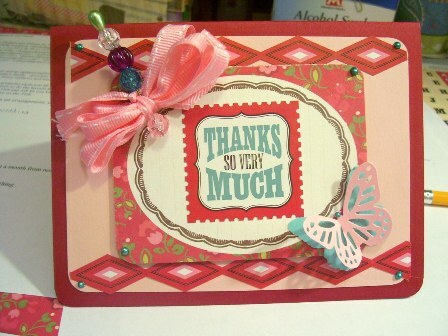 I then cut my Pink cardstock, also by STAMPIN’ UP!, to 5"x 4". I added in some stickers from Echo Park Graceful This & That at the top and bottom of the pink colored paper. I also used the floral paper from the same Echo Park Graceful collection kit and cut it to size 3 1/2" x 3". Then using an oval from this same collection I placed it in the center of my card. I put my sticker "THANKS SO VERY MUCH". Using my very handy Bowdabra, I added my pretty handmade bow. 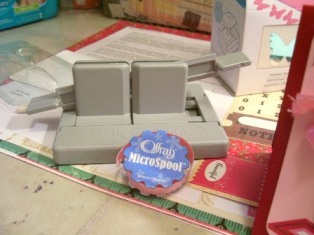 Here's a photo of my Bowdabra in case you still haven't discovered this genius tool! 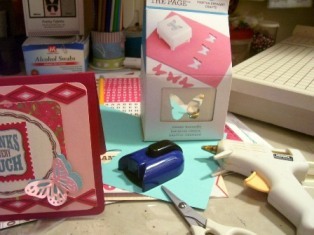 I just love butterflies so I added one using my Martha Stewart hand punches. I also used my corner punch on all of my pieces of paper and even the base card. I glued everything in place and to finish my card, I used teal liquid pearl drops. This is a very easy card to design and put together! I enjoy making all my cards and if any one has any questions, you can find my blog address on my DT profile page and I will help out as much as I can. I do hope you enjoyed making a "Thank you card" with me. You do not need to use the same products that I used. You can use whatever you have on hand and just let your creativity flow. Here's our card once again! I hope you will go and visit the other handmade Thank You cards our design team has come up with. They are all very talented ladies! 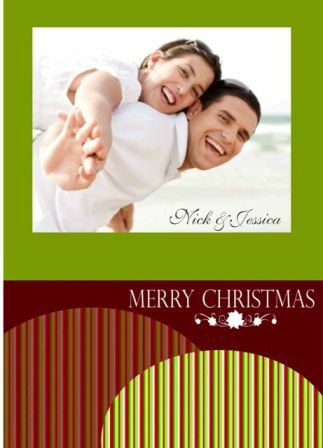 Thank you again for visiting our site, Let’s Make Greeting Cards!